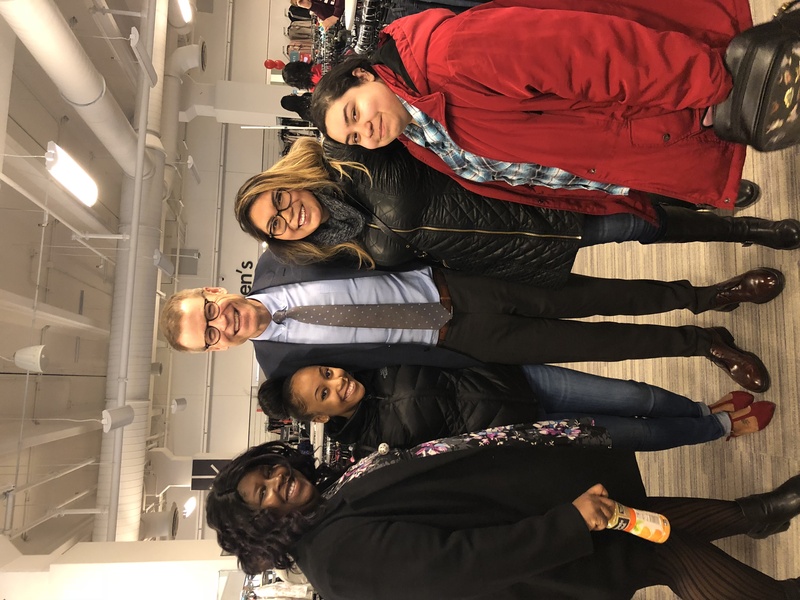 This was right after a meeting with Blake Nordstrom at our Lincoln Park location in Chicago. I made it a priority to make it to this meeting before work and it was everything I had hoped for and more. The information he provided was not only educational but inspirational. He made such a large company feel like a small family owned business. Blake took the time to get to know and talk to anyone who crossed his path no matter how long or short the conversation was. Thank you for taking the time to take this picture with me and my Chicago Avenue family Blake.